The band and choir had a successful experience at solo/ensemble in April. On Tuesday April 10th, the band and choir participated in their solo ensemble contest. While the kids were excited to get out of school early, band director, Mike Legvold, and choir director, Sue Franke, were very excited to see their students finally perform. The contest is a spectacular learning experience and chance for students to show off their abilities as a small group or as an individual. Students in grades 9 through 12 were allowed to participate in the competition. Contestants were judged on their performance by former band directors and music professionals based on their intonation, tone quality, rhythm, musicianship/interpretation, balance/blend, technique, diction and posture/poise. Scores range from 1-40 with the high score meaning the better the individual did. Students began working on their pieces back in early March after the end of the winter concert. Part of the challenge of the competition is getting the performance ready in a little over a month, however many students rose to the occasion and ended up with superiors: the highest score awarded. One such individual was Owen Edstrom in his trombone duet. Edstrom, a freshman, earned a 35 on his performance and stated, “I enjoyed the competition. I found the competitive nature to both be a fun and challenging experience.” He also partook in the performance of the Cannon Falls Jazz band, which received a 38 for their performances of “I Can’t Stop Loving You” and “Limbo Jazz”. 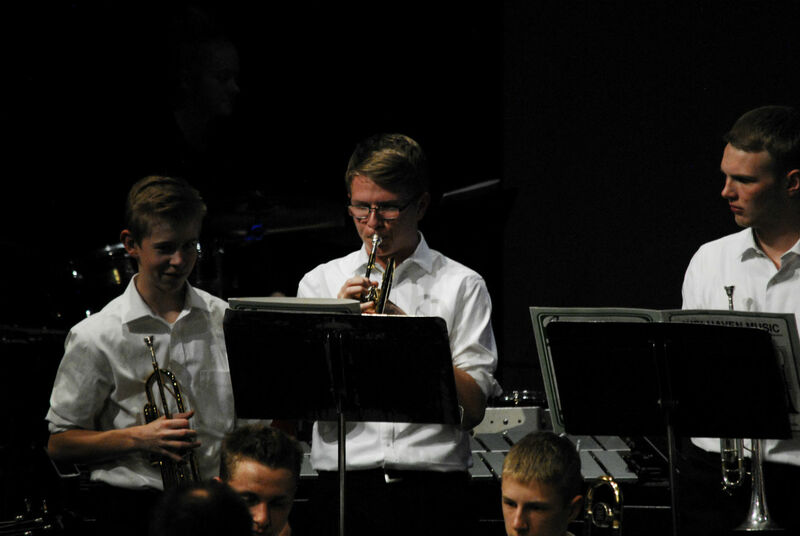 Another freshman, Nate Harmsen, took part in the revival of the Jazz Combo. After a rough performance two years ago, a new group of kids decided to bring the Jazz combo back. The group consisting of Harmsen, Grant Schlicting, Graham Pearson, Michael Benson, and Parker Hartl performed the song “How High The Moon”. Harmsen played the bass guitar in the ensemble and was very excited when he found out that they had earned a score of 39, stating that, “We spent a lot of time practicing and put a lot of work into our piece. I was really surprised and happy to find out we received a 39.” Along with their nearly perfect score the group won best in site. On the choir side of things, Bryson Felton had a fairly decent experience stating, “While I was a little disappointed that I didn’t get all superiors, I felt pretty good. I only received 2 excellent scores (one rank below superior) so I wasn’t too shaken up.” Felton participated in several ensembles, including the Jazz Band, a trombone duet, and 5 other choir events. He was able to achieve a superior in all but two of his performances, which is amazing considering the amount of time that he had to prepare for the performances. The band and choir won’t perform again for another month or so, however, whatever songs they choose will surely be great. The effort and hard work that these kids put into band and choir is absolutely amazing. Congratulations to all those who participated and good luck next year.